How to Root Samsung Galaxy Note 4 Safely? Officially announced on September, 2014 the note 4 is one of the top flagship devices from Samsung. This beauty was first available for sale on October, 2014. With a 5.7” 1440x2560 pixel display and pure leather back panel, this phone is no joke. Additionally a 16MP (2160p) rear camera, 3GB RAM and a very juicy 3220mAh Li-ion battery makes it quite a competition in its segment. To suit its strong reputation it packs Snapdragon 805 processor. It was a great rival for LG G4, Nexus 6 and iPhone 6 Plus. There were numerous recent reports where users wanted almighty performance from this beauty and thus were searching for simple and guaranteed method to root note 4. There are plenty of ways present to root note 4. For the sake of rookies, rooting is a process where people assume complete control over the android sub folders. The problem is to safely and properly complete the process of note 4 root. There is actually one process present safely complete note 4 root. 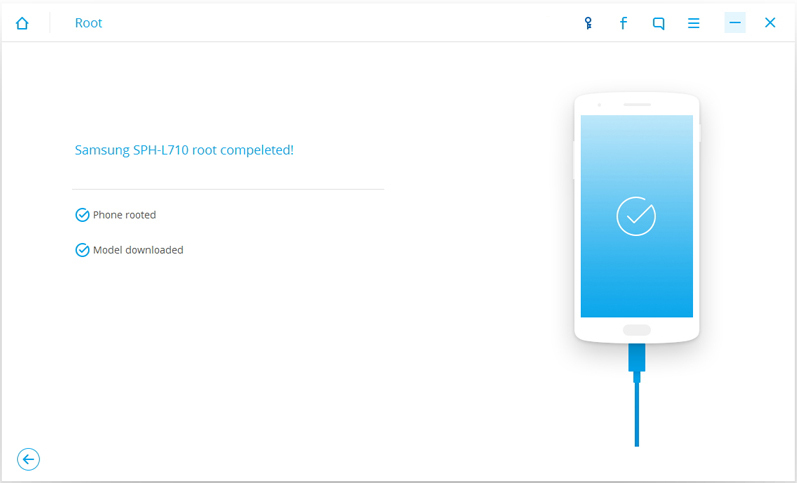 So in the following steps we will learn about the pre requirements for rooting followed by the detailed stepwise process with the help of screenshots to root galaxy note 4. Please follow them with sincere attention to root galaxy note 4. •	Make sure that the phone battery is charged up to minimum 80% or more. •	Enable USB debugging process. Open Settings>Developer options>USB Debugging. If developer options can’t be found on the device then please go to Settings>General>About phone>Common>Software info (tap on it 5-8 times). •	Backup of the internal storage- a backup must be created of all the sensitive and personal information which you have stored inside the internal storage of the device. •	Unrooting process-sometimes it might happen that the user doesn’t feel satisfied by the rooting of his device or the process isn’t completed properly well so I recommend to learn the process of unroot too. •	Download MiniTool Partition Wizard tool. Search for it on any search engine, you will get multiple links to download the exe file absolutely for free. •	The external SD card (if any) must be formatted into ext2 format with the help of card reader and MiniTool Partition Wizard Tool (one can also try ext4, if ext2 fails by any chance). •	The device should run on Android OS v5.0 and above (Lollipop).The below processes doesn’t support any other version of the android platform. Part 2: How to root Note 4 with Android Root? “Android Root” is a handy rooting software available at the website of the dr.fone. The greatest advantage of the “Android Root” toolkit by Wondershare the dr.fone is its very simple and easy user interface. Anybody can use it to root almost all devices since it supports over 7000 devices. It’s also absolutely risk free and 100% secure and hence has the highest success rate in the industry. Now follow the following steps carefully to root galaxy note 4. 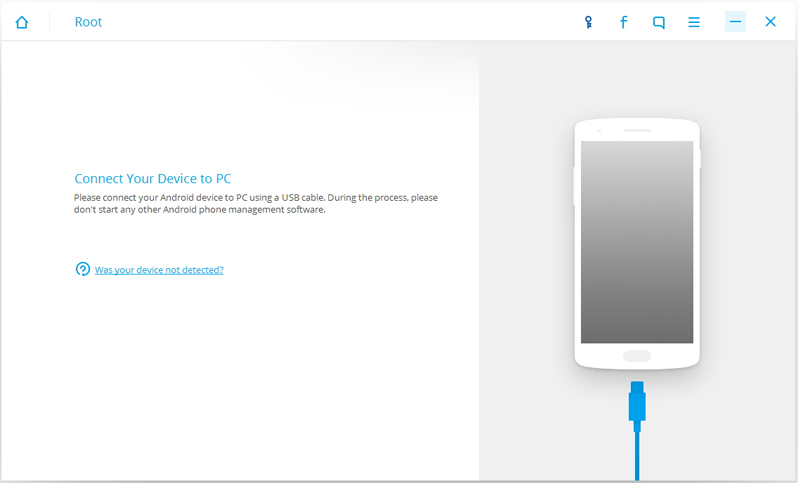 Download “Android Root” from Wondershare dr.fone website. Now once you have finished the downloading process of the toolkit, install it and then launch the toolkit for Android on the computer. Click on the Root option among all other options in the toolkit to begin note 4 root. Connect your device with the help of USB cable to windows PC. A pop up message appears on the device screen, click OK on the pop-up message to enable debugging for starting note 4 root. 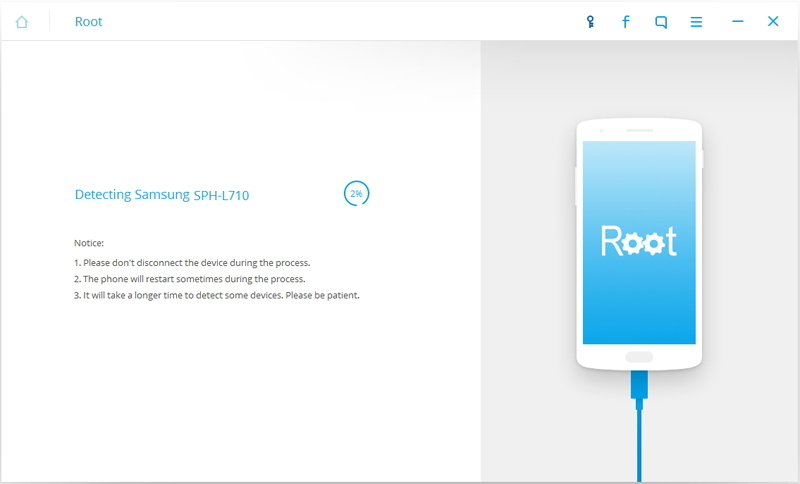 After the connection is complete, click on Start on The dr.fone toolkit to root galaxy note 4. 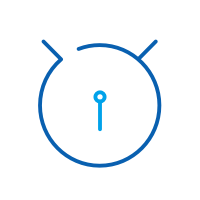 The computer will then start the device detection process and find the best way possible for note 4 root. The process takes a few minutes varying for different models so patience is the key to success here. After the system detects the best way possible, the system will show a pop up message with the option “Root Now “. Click on the option for note 4 root. During the Rooting process another pop-up message appears on the device screen asking whether the user wants to root galaxy note 4.Tap on CONFIRM option to continue the process of rooting your device. 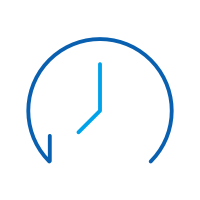 Just a few minutes wait and you will be successful in note 4 root. This is the entire stepwise process to root note 4! Part 3: Should you root Samsung Galxy Note 4? Well, to answer this questions, let us go through the advantages of rooting which are in good number and a few of its disadvantages as well. •	Very Powerful battery saver options like Greenify can be installed after you root galaxy note 4 which boosts the battery life very highly (as high as up to 4 hours!). •	Bloatware can be uninstalled after completion of galaxy note 4 root to reduce unnecessary RAM and CPU usage, speeding up the device and increasing the processing power of the processor. Increasing the multi-tasking potential of the device. •	Many service providers charge as high as Rs.350/month for Wi-Fi tethering. Rooting enables tethering while avoiding all the extra costly charges. Now that’s too good an offer to be over looked by the lofty data users who did root note 4. •	Custom ROMs completely changes the Android interface. It gives the users control to completely customize their device to the very core. Users can even access the recent and latest Android versions on their device. Quite a lovable offer! •	Thousands of “incompatible” apps become available after proper note 4 root! Even apps from the Android official store that didn’t comply with your device store will become directly downloadable. •	Rooting increases the work potential but this might result in over heating of the device. The excessive pressure on the processer results in the excessive heating and highly affects the battery life of the device. •	Due to rooting all the internal locks of the Android are removed. This might result your device to be easily hacked and result in your personal information getting leaked! According to reports the rooted devices are most targeted for the looting of personal and sensitive data. So guys these were the advantages and disadvantages of rooting the Samsung galaxy note 4, understanding which you can be your best judge in rooting your galaxy note 4. Hence, in this article we covered all aspects of to perform a successful root of note 4. Hope this article helped you in taking the best decision for your device. 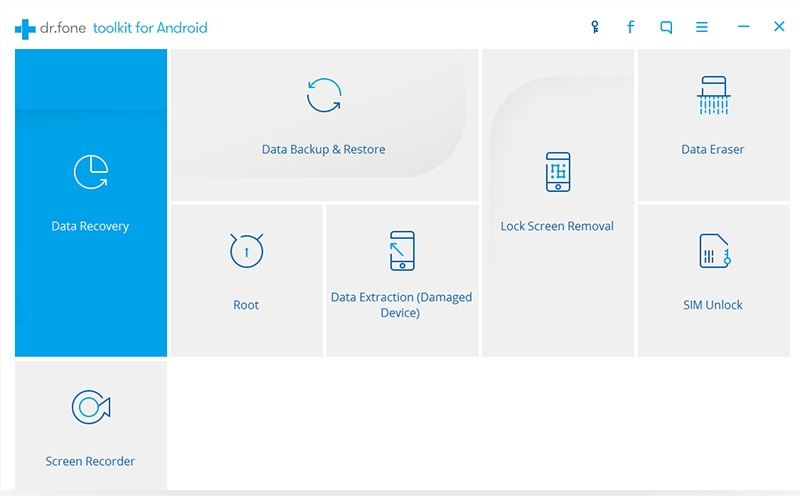 This article shows you how to safely root ZTE Z812 using Dr. Fone from Wondershare. This article will teach us about the best and a proven solution for rooting your favorite Huawei Y635 in simple and easy steps. This article deals with how to root Samsung galaxy S3. > How-to > Root > How to Root Samsung Galaxy Note 4 Safely?